The holiday season snuck up on me this year. Before I could mentally prepare myself for the yearly onslaught of delicious temptations, visions of gravy, stuffing, fudge, and cookies have worked their way into my sights, and they will undoubtedly soon work their way into my stomach. If I'm not careful, I might inadvertently add to the old stereotype of the paunchy player. However, in the fight against the caloric hordes, I have a weapon: The Wii Balance Board! The plucky little thing waltzed into our house around this time last year, bringing with it the unusual idea that one need not be rooted to the couch while playing games. I figure this is a good time to reflect on its usefulness: Should Wii Fit be added to my list of forgotten resolutions or has the device transformed me into the gaming equivalent of Jack LaLane? The idea of a video game improving one's physique is an alien one, and even exercise experts are having trouble determining the Balance Board's effects. A recent article from Gamasutra reported that the American Council on Exercise found the intensity of Wii Fit's exercises to be "underwhelming." Somewhat predictably, the study found that "performing an actual exercise activity rather than Wii Fit's virtual approximation resulted in 'significantly higher' caloric expenditure." This conclusion is hard to argue with, but certain excerpts hint at some potential holes in the study. "While we found that playing the Wii Fit burns twice as many calories as a sedentary video game," said ACE's chief science officer Cedric X. Bryant, "the outcome of the study suggests that Wii Sports, the Wii's suite of exergames that includes tennis, boxing, golf and bowling, is a better option and more capable of helping consumers meet minimum intensity guidelines for exercise." Like commenter Joseph Vasquez II, I too have a hard time believing that Wii Fit burns only twice as many calories as simply sitting on the couch. Of course, there is always the possibility that I possess a Zen-like stillness while I play games, but I still find this dubious. Additionally, anyone that suggests that Wii Sports burns more calories than Wii Fit must have skipped the latter's Hula Hoop game. While Wii Fit will never compete with military boot camp, a properly constructed routine can yield Simmons-esque exertion. This type of evaluation overlooks Wii Fit's strength: The game's health benefits stem partly from its exercises, but also from its game design. The animated balance board that greets the player is an expert in the ancient art of the guilt trip. The Balance Board seems to delight in doling out backhanded remarks about my attendance and snacking habits, which motivates me to think about fitness even when I go a week without playing Wii Fit. The combination of not wanting to see an upward curve on my weight graph and the pleasure I derive from thumbing my nose at that perky little jerk draws me back to the game on a regular basis. Wii Fit might not single-handedly sculpt me into an Adonis, but has been effective in cultivating a mindset. Whether it be counting calories, monitoring pounds, earning high scores in the games, or simply shutting up the Balance Board, Wii Fit makes exercise a game with clear, achievable goals. Like a perfectly-timed swing in PixelJunk Eden or a flawless victory in Street Fighter, the BMI graph becomes part of a system to master and optimize. Every time I yearn for a candy bar, I think about my little plastic adversary nagging me and instead reach for an apple. If I have to wait for a podcast to download, I try to squeeze in a quick jog or some calisthenics, knowing that this might lead to just a few more hula hoop rotations. Wii Fit's ability to add a gaming layer on top of the traditional benefits of exercise exploits my habits for my ultimate benefit. Ultimately, the most disappointing thing about Wii Fit is how quickly it has defined the Balance Board's standard implementation. As has happened in the past, many other companies have followed Nintendo's lead regarding game design and hardware utilization. For the Balance Board, this has meant a number of subsequent workout games along with the occasional mini-game collection. Nintendo has proved to me that they can turn fitness into a game, but I am still waiting to see whether the Balance Board is more than essentially a single-use peripheral. 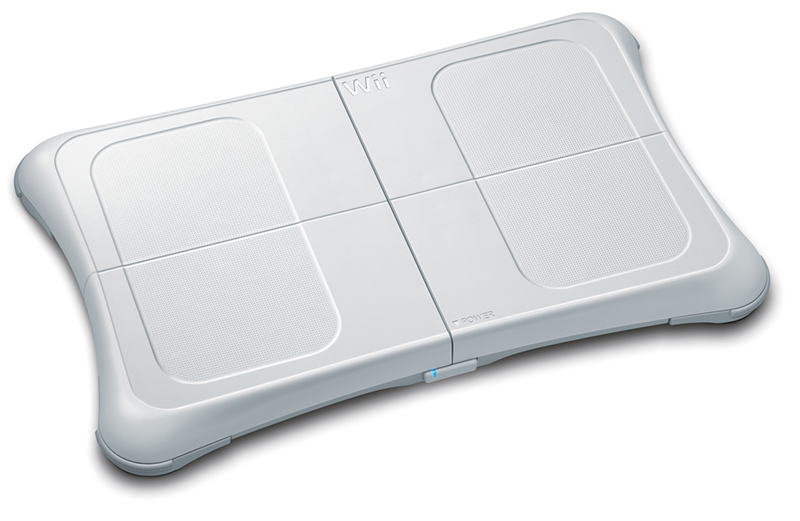 My early impressions of Wii Fit Plus give me hope for this, as some of the new games are surprisingly fun adaptations of traditional concepts, but I'll report back later with a more detailed review. In the meantime, I am interested in what you all have done with the balance board. For those of you who own it: is it buckling under the weight of a year's worth of dust, or do your abs now rival those of Solid Snake? For those of you who do not own it: What is keeping you away? Does the Board's price versus its number of uses worry you? Of course, you may just be trying to avoid becoming fixated on the approval of an inanimate object. Although it lacks a face, I was sure the thing was looking down its nose at me the other day. How satisfying it will be to rub my progress in that non-existent nose!